This simple and beautiful design is great for food or just to display as the piece of art that it is. 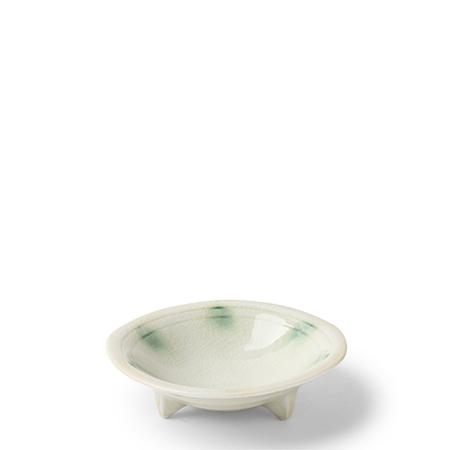 Serene and elegant, this is a 4" small bowl perched on a tripod of tiny legs. Use this size for sauces, spices, rings, even little guest soap! 4" diameter x 1" h.